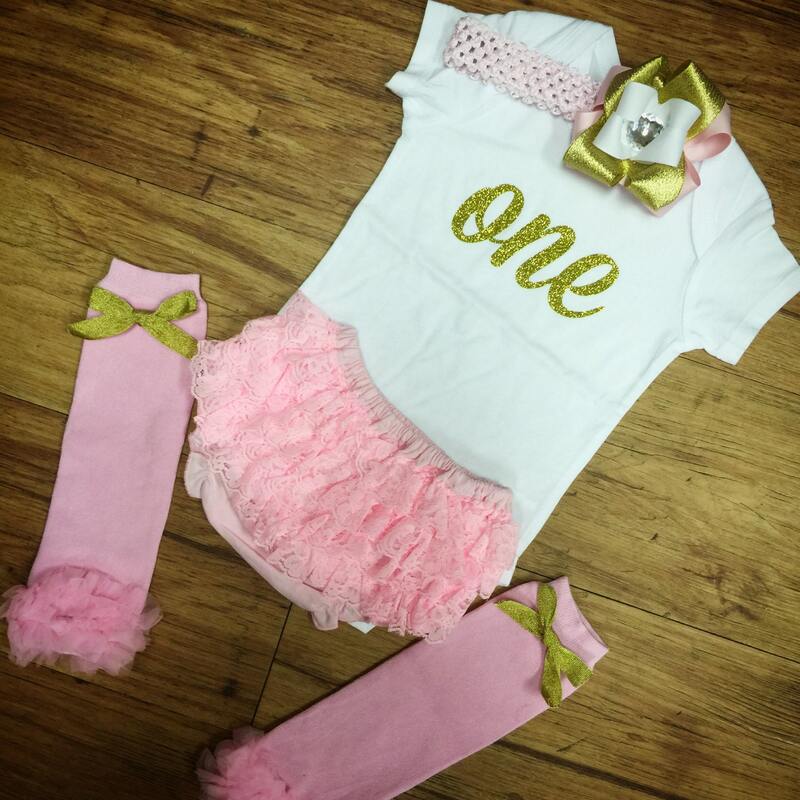 Gold & Pink, One, Birthday Set. You can purchase this set as individual pieces or as the complete set. 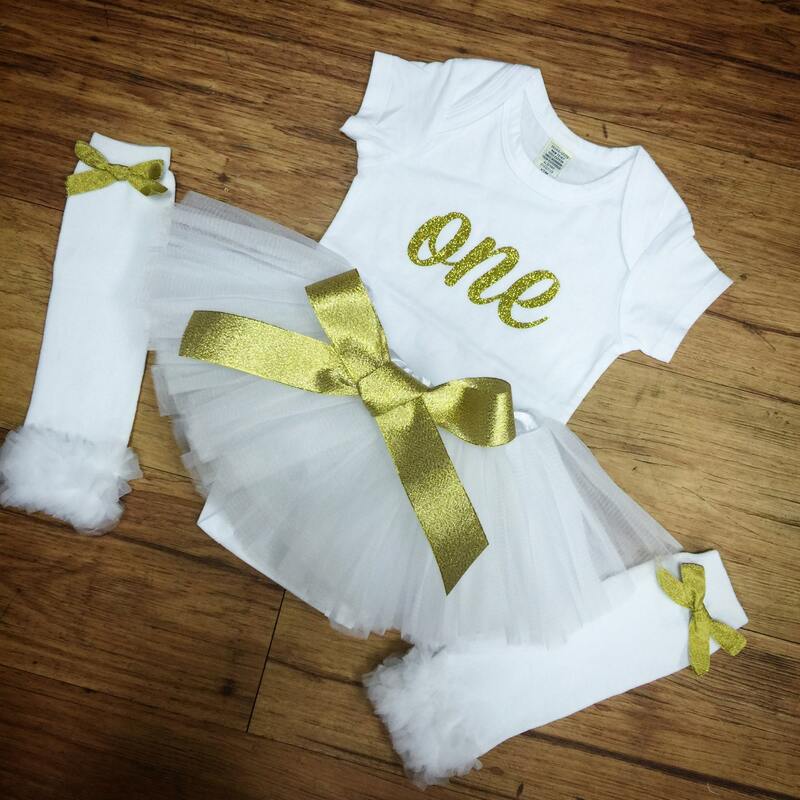 Onesie will come as a 12mo onesie unless a specific size is requested. Our onesie run true to size. We use the brand "Kavio". 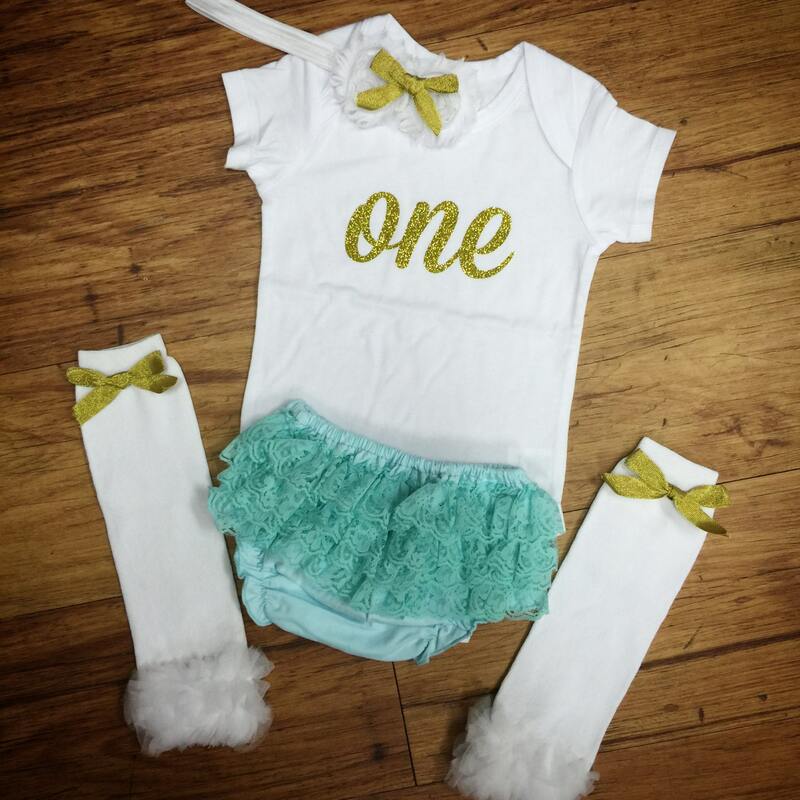 All items are made to order. Please allow current stated production time on our home page for shipement.